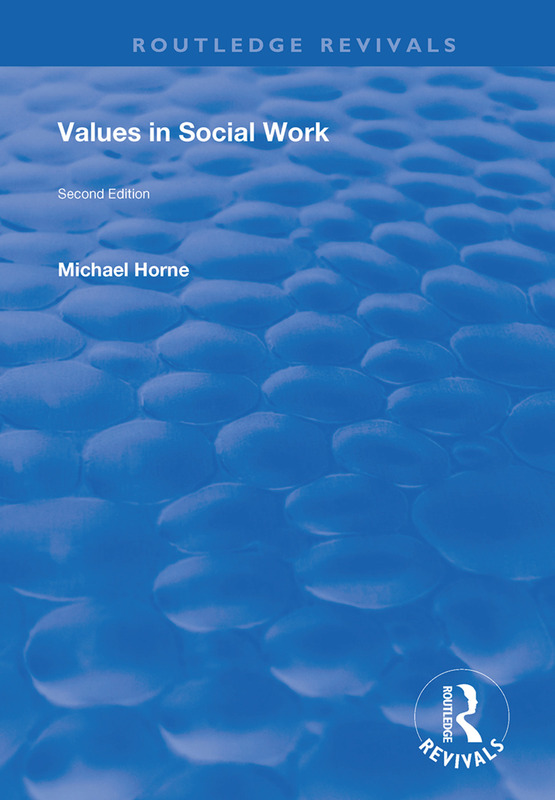 First published in 1999, this second edition of Values in Social Work has been extensively revised from the first edition, incorporating new case study material and extended areas of analysis. Values in Social Work encourages the reader to critically examine social work values as they relate to the processes whereby individuals become ‘clients’, how values work in practice, and the nature of social work practice in society. Michael Horne begins by describing and critically examining the central social work values of respect for persons and self-determination. He goes on to illustrate and examine what happens to these values in social work practice, describing and analysing actual cases based on interviews with social workers. The author concludes with a theoretical framework that seeks to critically understand the nature of social work values in the context of the function and nature of social work in society. Thus, Values in Social Work takes the subject of values, often treated in an abstract and theoretical way, firmly into the arena of contemporary social work practice. As such the book is a valuable resource to social workers, social work students and the reader interested in a values based exploration of social work.